Welcome to Arnold & Carlton vets in Nottingham. 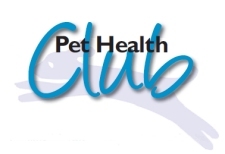 We have been providing high quality veterinary services to the community for many years. Take just a few seconds to sign up and receive all our special offers as they become available. The K-Laser offers a fantastic treatment for pets who suffer from, amongst other conditions, Osteoarthritis, Joint Pain, Hip Dysplasia & Neck and Back Pain. Click here to read a testimonial of how the K-laser helped Bella Boo who was suffering from arthritis. Budget monthly and spread the cost of treatment with convenient direct debits. Save over £160 per year! Click here for more details.